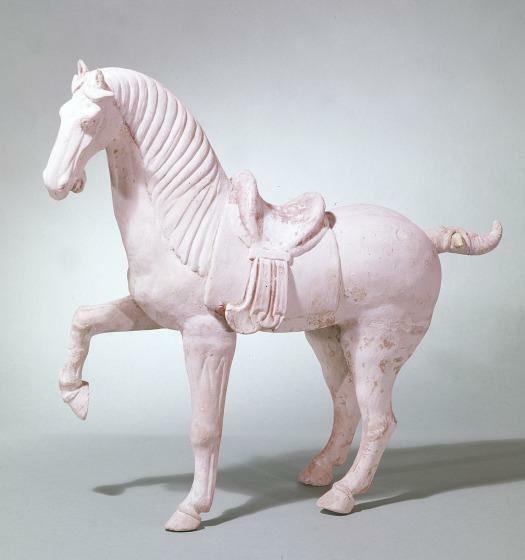 Horses of all types, particularly polo ponies, were in demand as mingqi during the Tang dynasty. 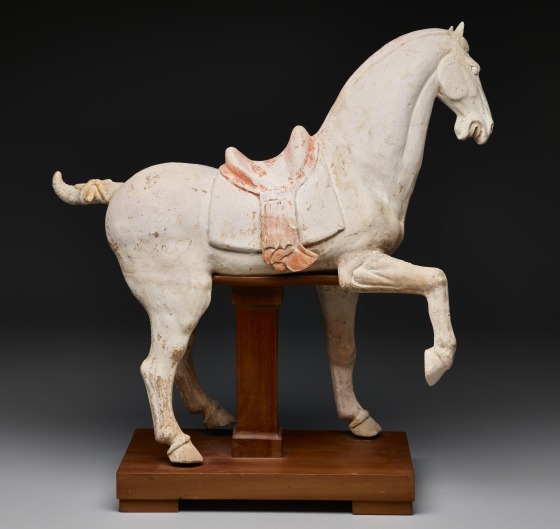 Polo was a popular game of the Tang court, played as much by the court ladies as by the noblemen. 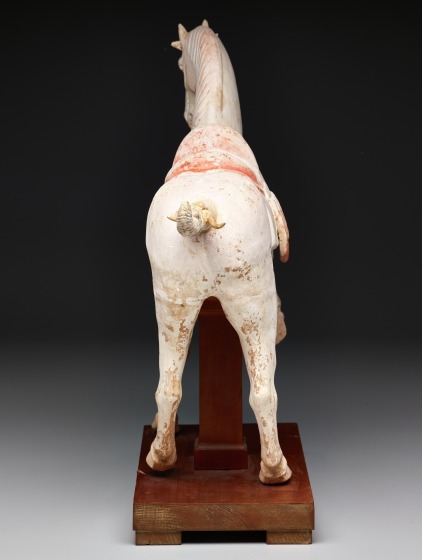 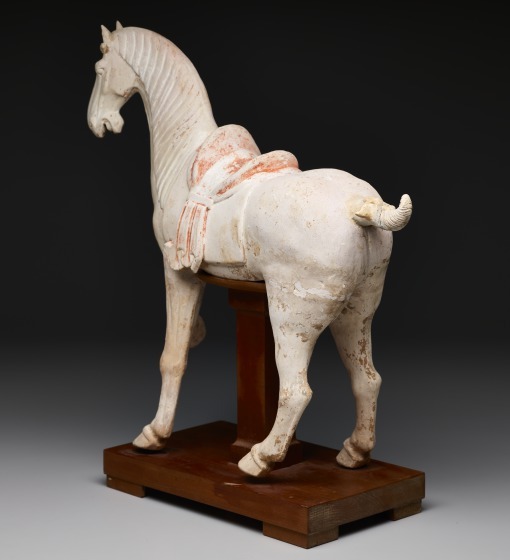 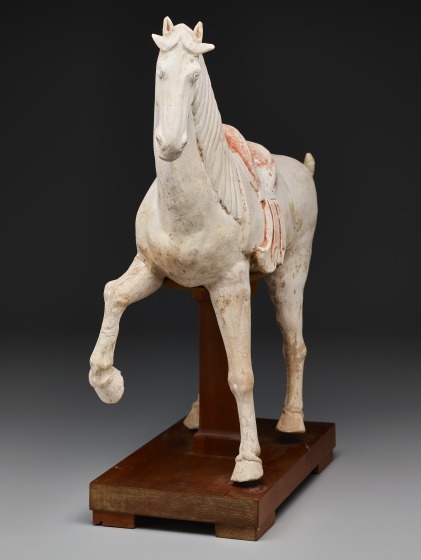 DMA unpublished material, "Pottery Statue of a Horse of the Chinese T'ang Dynasty." 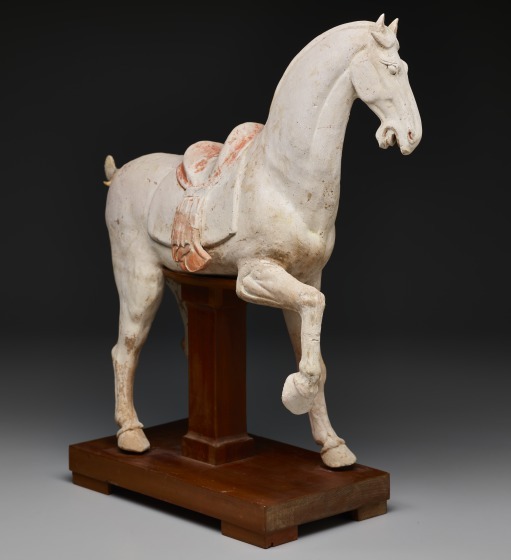 Learn more about the history of the horse in China. 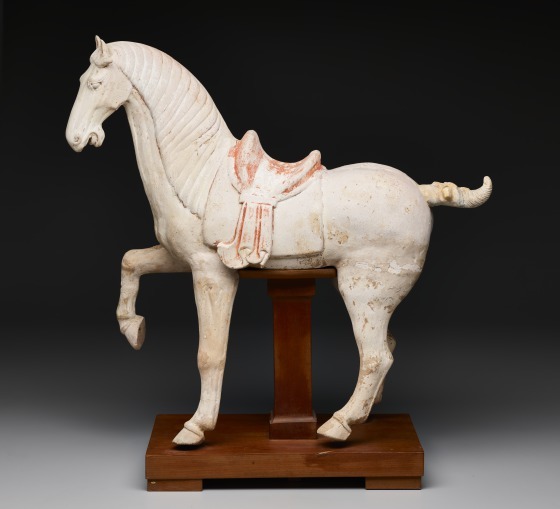 Learn more about the history of polo. 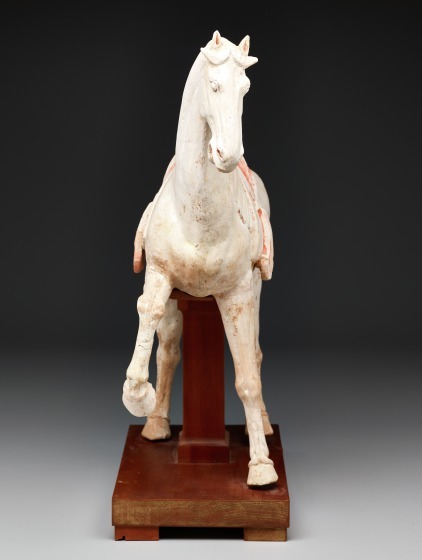 Watch equestrians in Xi'an, China revive the performances of the Tang dynasty's dancing horses.